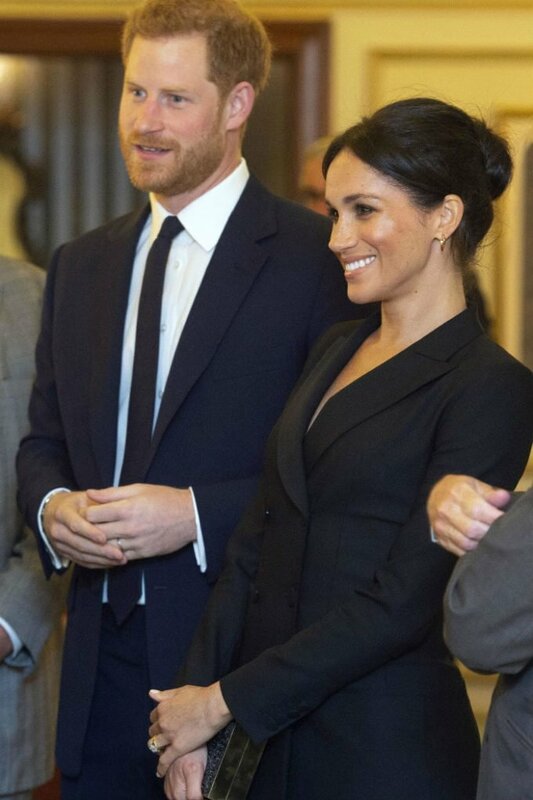 The Duchess Of Sussex was red from embarrassment after she accidentally let slip the adorable name she calls her husband Prince Harry. 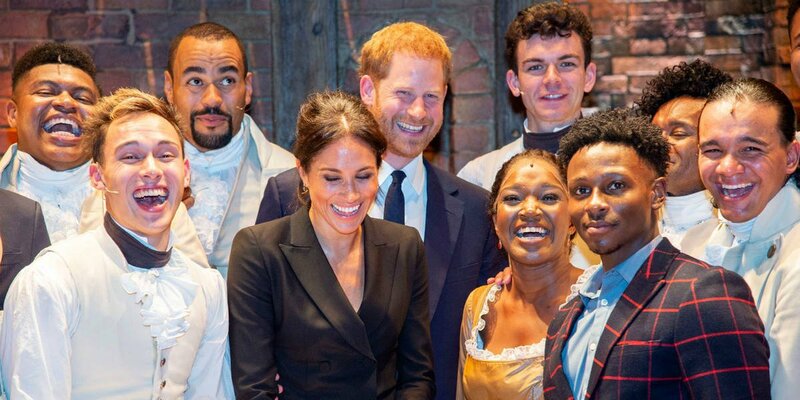 While posing with the cast of the musical Hamilton after a wonderful performance, Meghan was worried that she was obstructing Prince Harry, and she was caught saying to him: “Can you see, my love?” After some of the cast fawned over their cute exchange, Meghan said: “Oh!” then laughed bashfully at their reaction of the cast as Prince Harry turned red. Commenting on the beautiful moment, one fan wrote: “She is so sweet and Harry looked like he was blushing. They are one loving couple,” while another added: ” OH MY goodness! That’s the cutest thing!” The couple watched the show in the company of the creator of the musical, Lin Manuel Miranda, who spoke about the “surreal” experience of watching the show with the sixth-great-grandson of King George III (who is actually a character in the play). 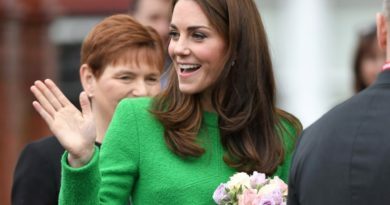 Harry, then took the microphone and broke off into mock-song, singing the first line of the British king’s signature tune. “You say…” he sang, before cutting himself off – through the cast behind him was clearly delighted, jumping and clapping. “You did try, but I said no,” he joked to Lin. ”Can you see my love?“ Ups, Meghan looked genuinely embarrassed after revealing us how she secretly calls her Husband! 😍 and the reaction from the cast is adorable… Man die sind doch soooooo süß zusammen!!!!! 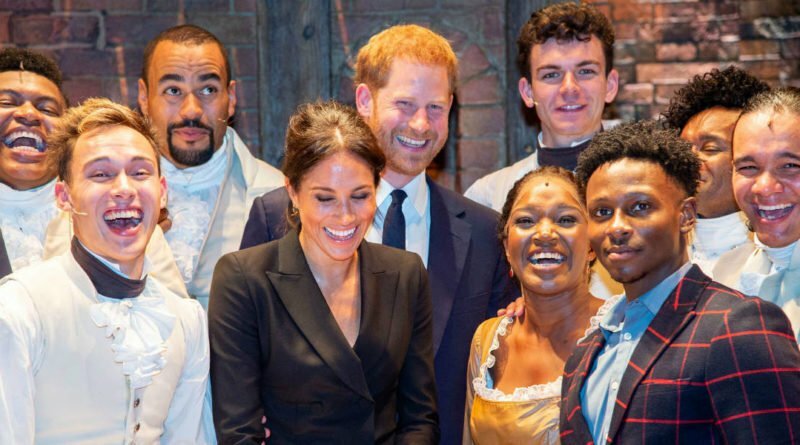 Lin later tweeted: “King George III’s great-great-great-great-great-great-grandson the Duke of Sussex sang a few bars tonight,” with the wide-eye emoji. Meghan is a huge fan of the show, having seen it three times. During the evening, she asked Lin: “Have you seen it yet in London? Because I found it so amazing to watch how that plays versus here, and the response is so different but everyone loves it.” This was a special performance of the show that was held in support of the HIV charity Sentebale, whose co-founder is Prince Harry. 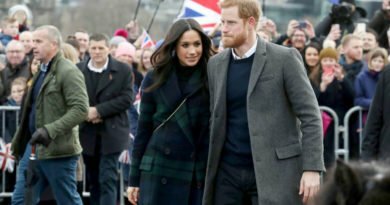 READ NEXT: Why Meghan’s Second Wedding Dress Won’t Be Displayed For The Public?